The iPad is the most popular tablet available, especially among young people and professionals. 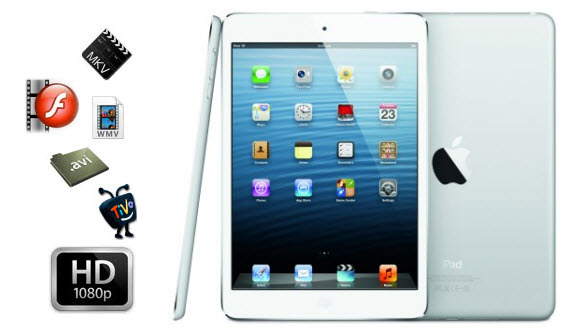 The iPad comes with a superior video system that allows users to watch HD content on the device. Many modern iPads have HD camera functionality that allows users to create their own HD content for the iPad. This content can then be uploaded directly to video-sharing sites such as YouTube and Vimeo. There are many types of videos that can be downloaded and played on the iPad. The most popular downloads include music videos, movies, sports matches and comedy clips. Many YouTube channel operators create their own content including shows, comedy and music. While content can be streamed directly to YouTube, it can also be downloaded and played directly on the iPad. This comes in very useful when you are traveling on long plane, boat or car rides, or other times when internet access is unavailable. HD movie content can be played or streamed directly on your iPad for the ultimate viewing experience. Apple has provided an in-depth knowledgebase on how to watch movies on your iPad. HD content can be downloaded from outside sources or downloaded from the iTunes store. Standard Definition (SD) content has a resolution of up to 480p, while High Definition (HD) content maxes out at 1080p. Ultra High Definition can be 4K or 8K. 4K has a resolution of 2160p, while 8K has a resolution of 4320p. Most modern iPads are compatible with 1080p HD video, and Apple is reported to be releasing a 4K-compatible iPad before 2015. There are numerous sources that allow users to download content for the iPad, but the best tool available is the 4K Video Downloader. The 4K Video Downloader allows users to download HD content from a variety of video-sharing sites including YouTube, Vimeo, Facebook, DailyMotion, SoundCloud and Flickr. This powerful tool is easy to use—simply copy the URL of the video, paste it into the tool and it will do the rest. There are a few options that can be changed if necessary including download location and file quality. The 4K Video Downloader is capable of downloading content in any quality available, from low quality to 4K quality. Entire playlists can be downloaded just as easily as downloading a single video. Just copy the URL of the playlist, paste it into the tool, set the options if necessary and it will take care of the rest. 3D videos can be downloaded, as well as videos that are banned in specific countries or locations. If you will be in an area without internet access, or taking a long road trip or plane ride, you can download a few single videos or entire playlists in order to pass the time. The 4K Video Downloader is the perfect tool to make this happen. Download your free copy today, and start enjoying HD content on your iPad any time you wish.